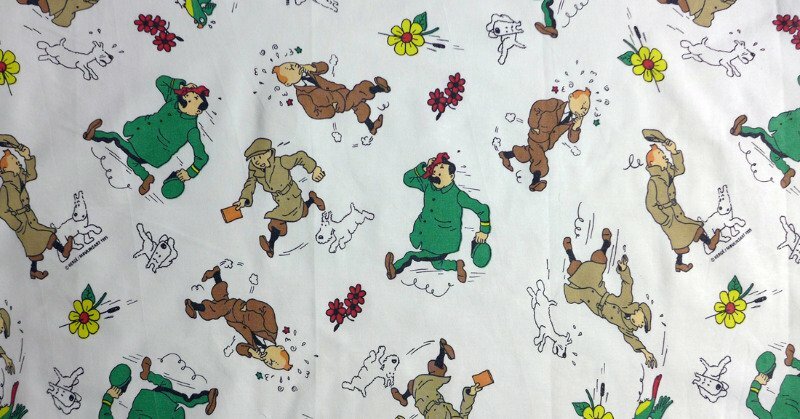 This white Tintin cotton fabric shows Tintin and Snowy in various scenes from Herge's 1932 book, Tintin in America. 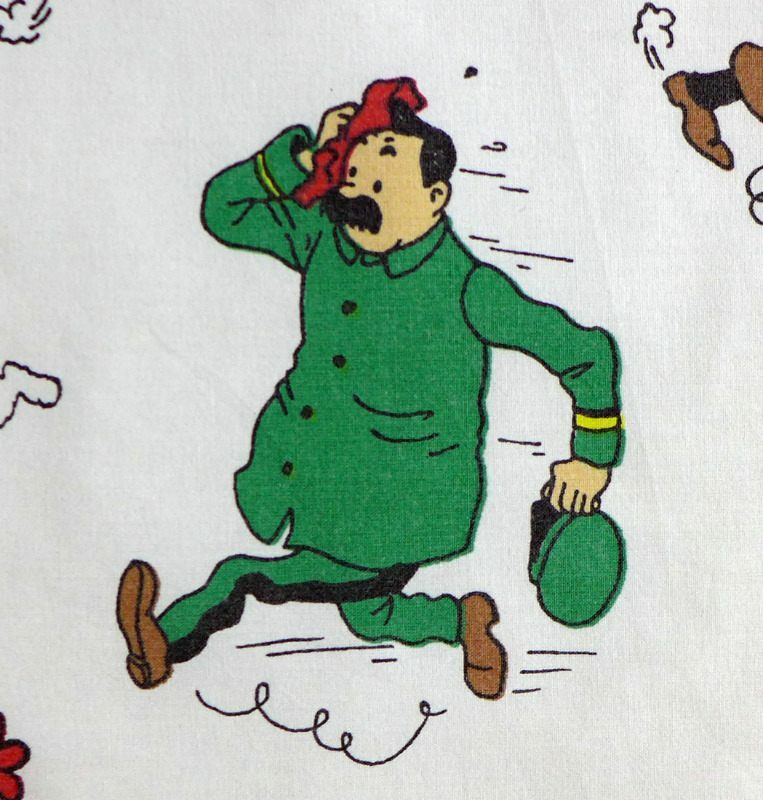 The characters are well spaced and colourful and the fabric is in good vintage condition. 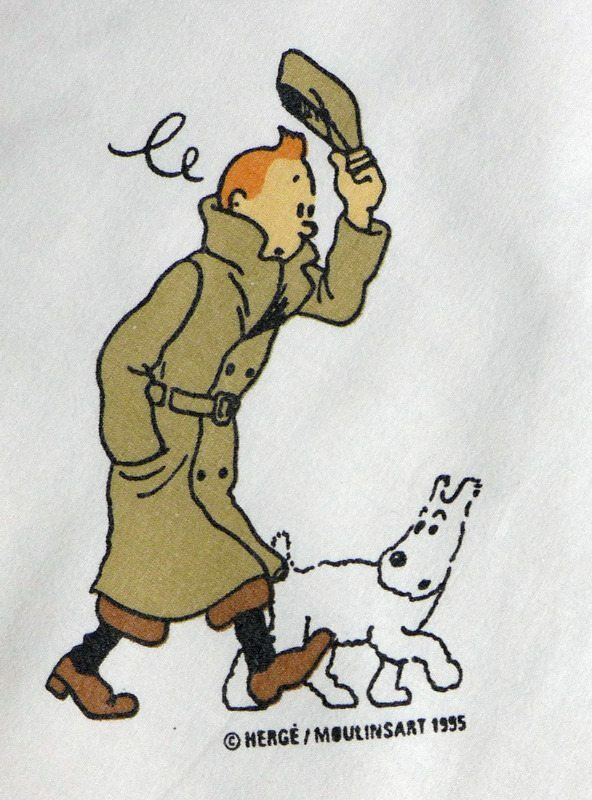 It is marked with the Herge copyright and dated 1995. 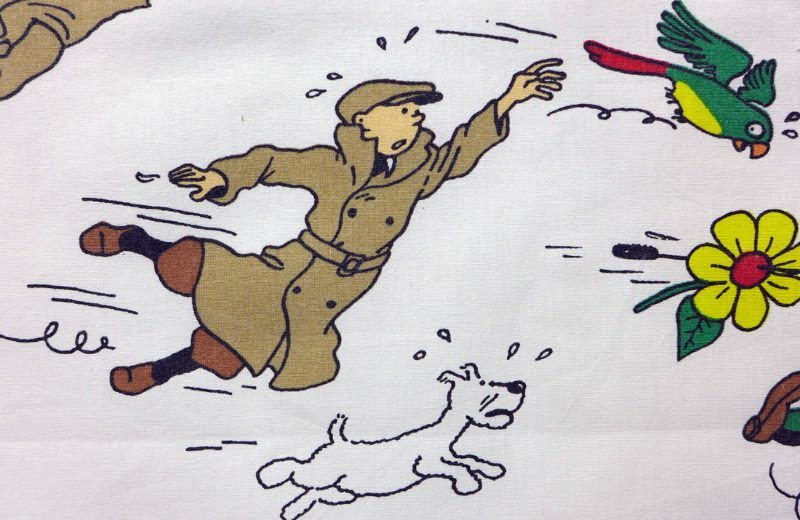 There are just two pieces of this cotton, each measuring 50cm x 45cm. If you order more than one unit it will come as a continuous piece. The price is per piece.